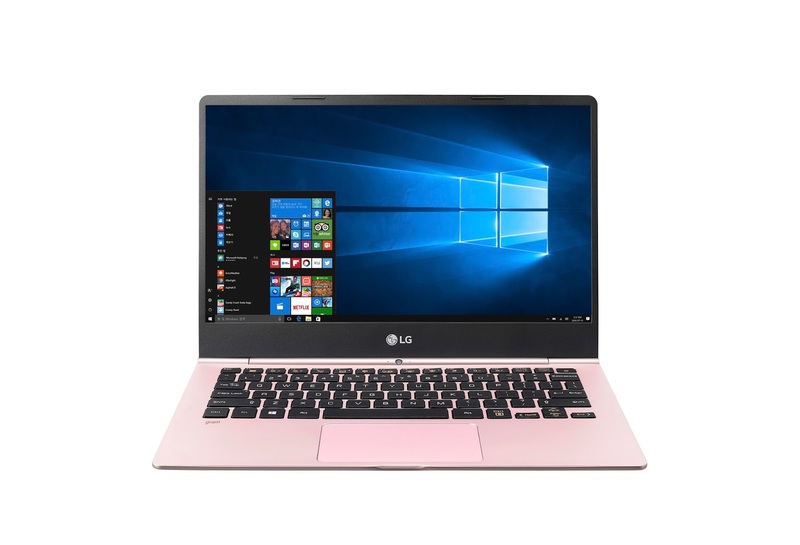 LG today at CES 2017 announced 2017 LG Gram laptops it comes in three different screen sizes – the 13.3” and 14.0” models weigh in at 940 grams and 970 grams, respectively while the largest model only weighs 1,090 grams (only 2.4 pounds) despite its impressive 15.6” screen. 15.6” LG Gram comes with a Thunderbolt port, as well as additional USB Type-C ports which allow simultaneous video signal, data transfer, and charging via a single cable. The versatile LG Gram has features designed to enhance usability at all hours of the day, such as its backlit keyboard for putting in extra hours of work at night. On the 13.3” and 14.0” LG Gram laptops, you can use Daylight Mode, which enhances screen brightness so that it is viewable even under bright sunlight. LG Gram’s 7th generation Intel Core i7 processors maximize productivity. Equipped with state-of-the-art CPUs, the LG Gram can simultaneously run multiple memory-intensive programs without a hitch. In addition, the latest LG Gram models boast plenty of space to save a library of important multimedia files, with up to 512GB SSD and max 16GB DDR4 Dual Channel Memory. LG Gram screen is framed by super slim bezels to create a sophisticated, near-edgeless touchscreen that’s great for using Windows Ink to make notes and annotate directly on webpages in Microsoft Edge. With a built-in fingerprint reader that unlocks Windows Hello, you can log in easily and more securely with a scan of your fingerprint in place of memorizing passwords. The 2017 LG Gram models feature a 60W battery – the highest capacity in the industry to-date – for a long battery life between charges making it an ideal companion for busy people on the go. LG Gram is available in three premium metallic colors, dark silver, shiny white and metal rose.